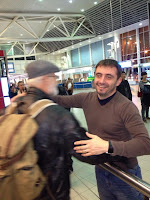 Its been almost a week since Pastor Chuck and Lynda returned to Bulgaria after almost two years absence. If you have either, or both, of them on Facebook make sure to follow along as they share almost daily of what the Lord is doing there. Pastor Chuck wasn't able to make the trip last year because of the accident that took him out of commission for several months and over a year to heal. The return this year is especially sweet as they will be celebrating the Orthodox Easter holiday with the Blaga Vest church in Sofia. They were greeted at the airport by Pastor Ludmil Yatanski of Blaga Vest in a heartfelt reunion. Pastor Ludmil has been a key part of the work we do in Bulgaria, providing opportunities for ministry both in Sofia and at the Black Sea children's camp every year, and also providing housing while we are in Sofia. Our two congregations are connected by the ties of fellowship between many of our members who have formed strong relationships over the years. 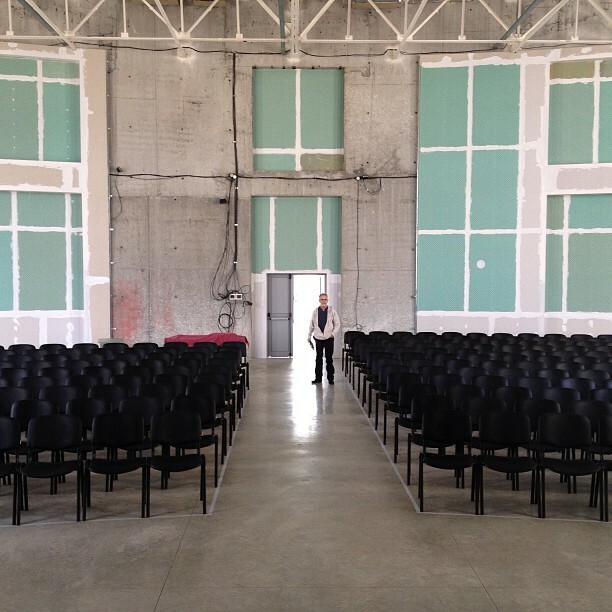 We have watched for about seven years now as the Blaga Vest church has been constructing a new church facility. 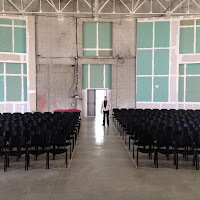 They have been meeting in a rented theater in downtown Sofia, while their new facility is being built in Lyulin, a densely populated neighborhood on the northwest side of the city. With apartments for visiting missionaries others traveling through for ministry, along with classrooms and church offices, the new building has been in use for several years but had not yet begun to hold regular services in the main sanctuary. While they had been holding the Wednesday evening service in a smaller room upstairs, they are planning to use the main sanctuary for their Easter service although there is still work remaining to be completed. We were blessed to send an offering to help with the construction and look forward to its completion. Another congregation that is dear to our hearts in Bulgaria is the Boje Cila church in nearby Elin Pelin. 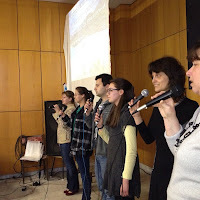 The small town is about 30 minutes away from Sofia and the church is led by Pastor Niki Vasilev. The town and the church are small, but their hearts are not! We have been blessed by this congregation and their love for us every time we visit. 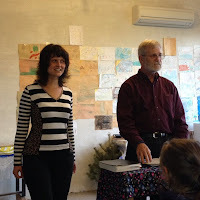 Pastor Chuck and Lynda visited for service several days ago and the pastor's wife, Tsveta, translated as Chuck shared the word of God with the congregation. 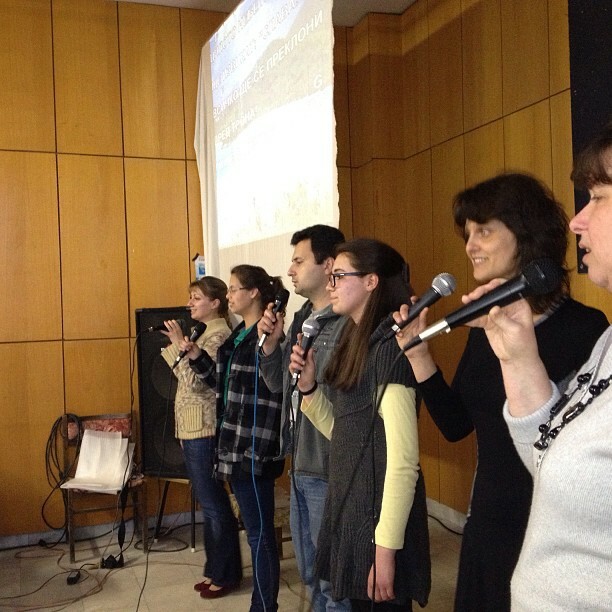 Last year, the church assembled a full worship team with several church members, including some of their youth. This was the first time for Chuck and Lynda to hear them sing and they were blessed! The congregation always demonstrates a real heart for the Lord in their worship and its always a pleasure to sing along with them as best as we can. Fortunately, many of the songs they sing are songs we know as well, just translated into their own language. The sound of a church full of people singing a worship song together in two languages is beautiful!! 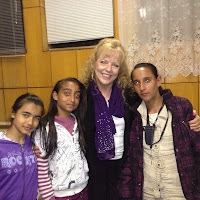 Lynda took the opportunity to love on some of the girls in the church. 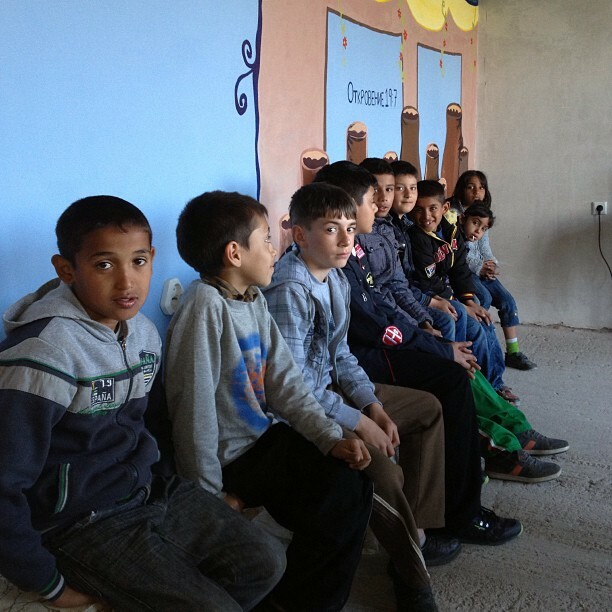 Many of those who attend are Romani (gypsies), who usually do not find a welcome anywhere else in the Bulgarian culture. What a joy it is to know that the Body of Christ has room for everyone! Speaking of the Roma people, Pastor Niki not only pastors the church in Elin Pelin, but also travels to the nearby gypsy village of Stolnik to minister to a congregation there. Pastor Chuck and Lynda went along and shared the Lord with them. Chuck noted that God gave him a completely different message than the one he'd prepared but it was truly the leading of the Holy Spirit and ministered to the body. He was also given a word to share with a woman there who had walked away from the Lord for several years. The church building in Stolnik is a recent addition, and a major improvement over the small trailer they used to meet in. Last year, the team had the opportunity to paint a beautiful mural on one wall of the church depicting four of the miracles that Jesus performed, along with scripture references in Bulgarian. The Stolnik church is truly reaching out to a community that desperately needs the love of Jesus and its a blessing to be even a small part of the work God is doing there. 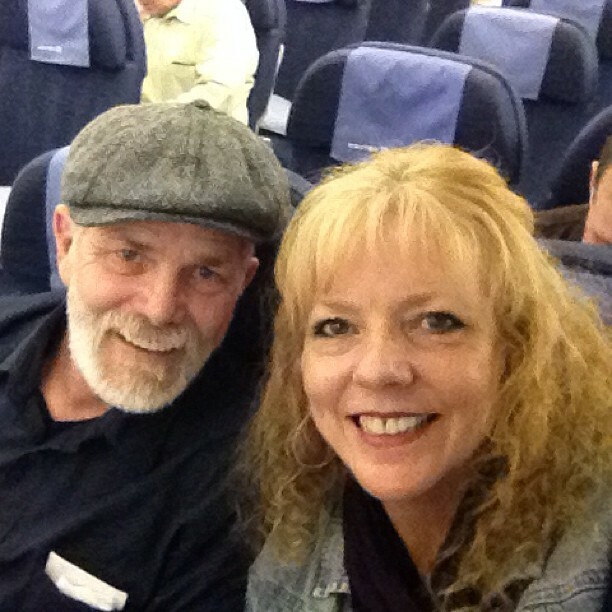 Continue to pray for Pastor Chuck and Lynda as they still have two more weeks in Bulgaria. Lynda is getting several opportunities to share with the woman there and Chuck is teaching 3 to 5 times a week in various churches and bible studies. We can't wait to hear all that God is doing on this trip!